Does Keeping Salaries Secret Hurt Team Performance? In many parts of the world, asking a colleague “How much do you make?” is considered downright rude. But a former Google employee discovered that staying tight-lipped about salaries can exacerbate workplace discrimination and salary gaps. After starting an internal spreadsheet where other Google employees could post their salaries, Erica Baker discovered that salary discrepancies in the company were widespread – two equivalent employees doing the same job could be taking home very different paychecks. Managers often support pay secrecy practices because they believe it will help maximize pay flexibility, reduce envy and jealousy among colleagues, and keep company costs down. 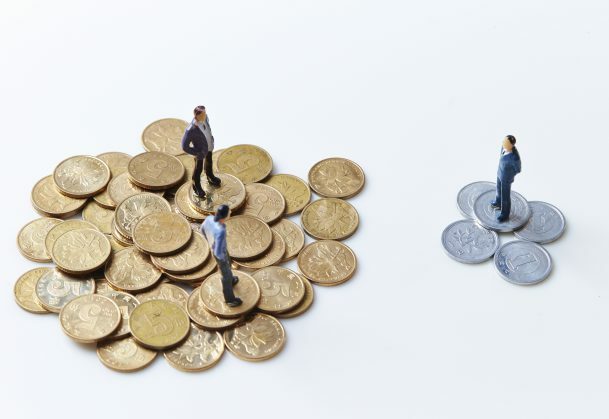 However, new research from a team of psychological scientists led by Elena Belogolovsky (Cornell University) and Peter Bamberger (Tel Aviv University) suggests that pay secrecy may come at a cost. The new study suggests that a lack of salary transparency can negatively impact the way employees share information and cooperate. “Indeed, only a handful of studies have empirically examined the impact of pay secrecy, with most indicating that even if pay secrecy affords management such benefits, it may do so at the cost of individual task performance,” Belogolovsky and colleagues write. Ostensibly, pay is supposed to be linked to performance: Higher performance is rewarded with higher pay. But research has consistently shown that most of us are terrible at accurately judging competence; we often rely on wildly inaccurate cues like gender, race, social status, or speaking style to determine expertise. “When actual pay information is unavailable, individuals ‘grab whatever information is handy’ to form a quick, general impression of relative pay rates,” the researchers explain. In Belogolovsky and colleagues’ new study, 146 business students at a Singaporean university were told they would be solving a series of puzzles for cash prizes. After arriving at the laboratory, each student was told that they would be assigned to a virtual team along with three of their peers. Unbeknown to participants, the three other group members were actually confederates of the researchers. In the secrecy condition, the students’ score was displayed along with their cash payment for that round. In the transparency condition, their score was shown along with a bar graph displaying their pay relative to that of their team members. Throughout the experiment, confederates followed a pre-scripted schedule of requests for help, and the speed and quality of their helpful responses were also pre-scripted. The results suggest that pay transparency encouraged participants to go to the most skilled individuals for help. When pay was secret, participants had no way to accurately judge their colleagues’ expertise and were less likely to turn to the most qualified “expert” teammate for help. Belogolovsky and Bamberger caution that the evidence on the pros and cons of pay transparency are still contentious among scholars and practitioners. However, they also suggest that organizations can take steps such as partial pay openness and reduction of subjective performance assessments to mitigate any negative effects. News > Minds for Business > Does Keeping Salaries Secret Hurt Team Performance? Could a Certain Style of Business Lunch Boost Team Performance?